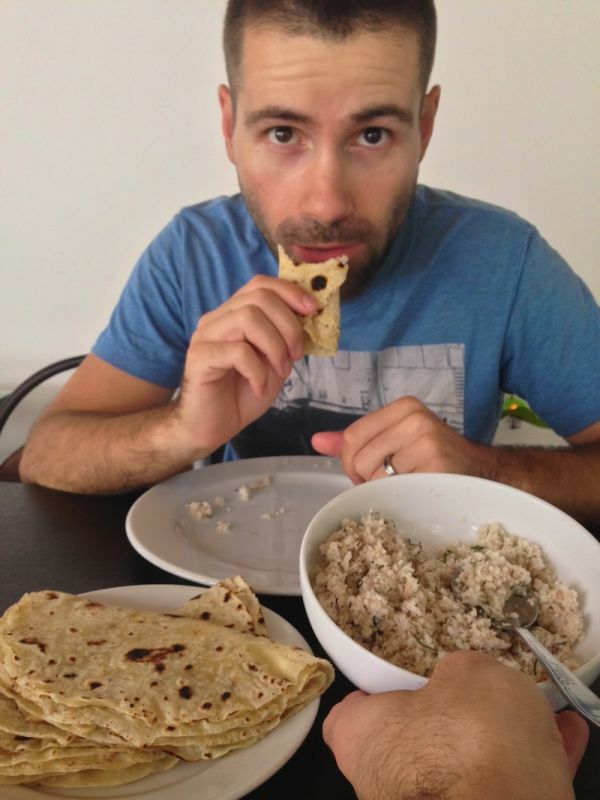 A popular breakfast in the Maldives consists of the mashuni eaten with roshis. Mashuni is simply shredded coconut with tuna and onions and eaten with roshi. Roshis are like Indian rotis, except they're made with all purpose flour instead of wholewheat flour. This recipe was enough to feed and satisfy the two of us. Mix the chopped onions with the sliced chilli, the lime juice and salt. Drain the tuna from the can and mix it in with the onion/chilli mixture. Mix in the shredded coconut and serve with roshis.